NORMAN Mapeza wants his FC Platinum side to build on their success in the Commander ZNA’s Charities Trophy in which they thumped CAPS United at Mandava on Saturday.Mapeza has only been in charge of FC Platinum for a fortnight and the former Warriors coach was left celebrating a flattering 6-0 victory over CAPS United that also ensured he had his second silverware as coach on the domestic front. 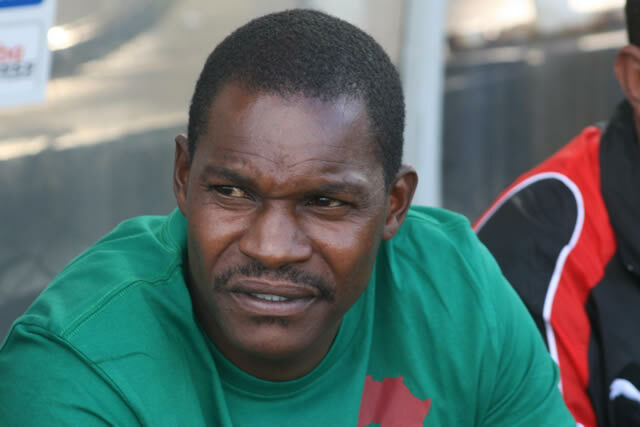 Six years ago Mapeza guided Monomotapa to the league championship before disappearing from the local club coaching radar. Now after guiding FC Platinum to victory in the ZNA Charities, Mapeza has also set his targets on the Chibuku Super Cup while Kugona Kunenge Kudada are also rank outsiders in the championship marathon. Yesterday the FC Platinum coach was revelling in the victory but insisted his immediate mandate was to build on a side for next season. “I am still coming up with a team and I need time and I am not under any pressure. I came to Platinum because they had offered me a job and for the record no other club in Zimbabwe offered me a job,’’ Mapeza said. In the game against CAPS United Mapeza used players who have been on the fringes either because of injuries or failure to pin down a regular place. Players such as Petros Mhari, Raphael Muduviwa, Kevin Moyo, Gift Bello, James Marufu, Tatenda Dzumbunu and forgotten striker Nelson Maziwisa have not seen regular action this season. Referee Rugare Kusosa also scored a first as he became the first official to send three players from the same team this year and the Zvishavane man has been accused of being too harsh in his decisions. “What happened here is a disgrace to Zimbabwean football. I am sorry to the CAPS United family and all the Zimbabweans,” said Mangwiro. Mapeza also felt the expulsion had taken some gloss off his team’s triumph. “I was happy to lift my first silverware with FC Platinum but unfortunately some guys were sent off. My boys did well but the sending off of the CAPS United players disrupted everything,” said an elated Mapeza.